Will racism ever be kicked out of football? Who Should Captain Manchester United? Is Arsenal A One Man Team? Malaga- La Liga’s Manchester City? Artificial Football Pitches Set For Comeback? www.sportsmemorabilia.com - a one-stop shop for sports memorabilia fans! Arsenal Transfer News Roundup: Gervinho to join the Gunners? Arsenal Transfer News Roundup: Gervinho Having A Medical? A site that displays various opinions, insights, reports, etc from a host of talented writers, covering various clubs and leagues. After days of heavy speculation, today was a bit quiet with no big headlines and such, nothing to get you off your seat. Well, without further a due, here is the Arsenal Transfer Roundup. I stumbled on this headline, while reading an article on The Gunning Hawk. 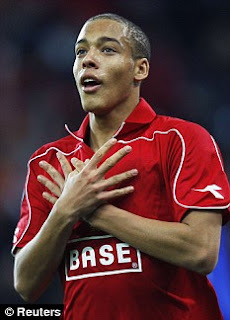 Axel Witsel, a Belgian international who plays for Standard de Liege, apparently according to his father, "dreams" of playing for the Gunners: "He doesn't have a specific target but he has a dream and it's called Arsenal." Witsel has always been an excellent player, who has always been linked with the best clubs in Europe. He has made a reputation of being a "dirty" player ever since he broke an opponent's leg a few seasons back. This doesn't mean that Witsel isn't a talented player, he is one of the best rising stars in Europe and still has a bright future ahead of him. In my opinion, his value will around or over 10 million pounds. 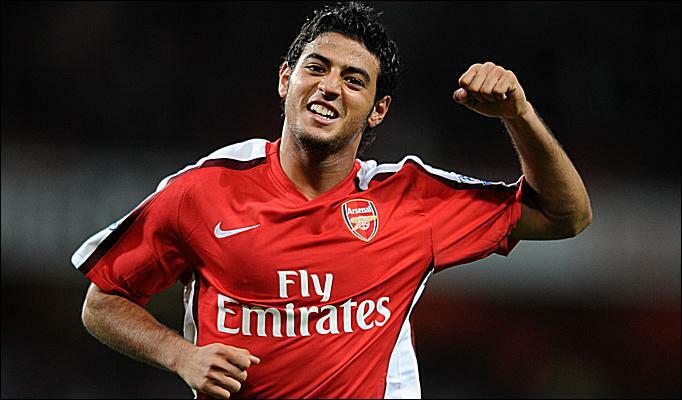 Vela's agent has confirmed that Vela, is still held in regard by Wenger and is still in his plans for next season and in the future. While it has also been confirmed, that Arsenal will not release or let Vela join Mexico in the Copa America this summer. I believe this is great news, as Vela will get another opportunity to prove himself because he has the skill and potential to do so, and by not participating in the Copa America, he will have a whole pre-season to get back on track. 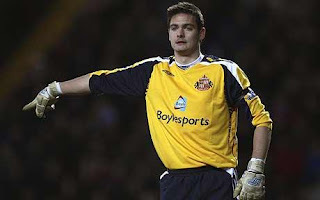 There is a report on the Sunday Sun, reporting that Wenger is interested in injury prone Scottish international and Sunderland keeper Craig Gordon and that he will cost 9 million pounds. This is honestly in my opinion and absurd article, as I don't believe Wenger is after a goalkeeper, and also by describing Szczesny as "calamitous" even though he has had an excellent season as well as the improving Lukasz Fabianski. So I don't believe Wenger will be after a goalkeeper and certanily and hopefully, not an injury prone keeper despite his talents. What do you think? Do you want to Axel Witsel or Craig Gordon as a Gunner? Please share your thoughts and opinions.